We are writing to update you about events that took place over the weekend during our tour of the South Hebron Hills. This past Friday, we conducted an educational tour of the South Hebron Hills. 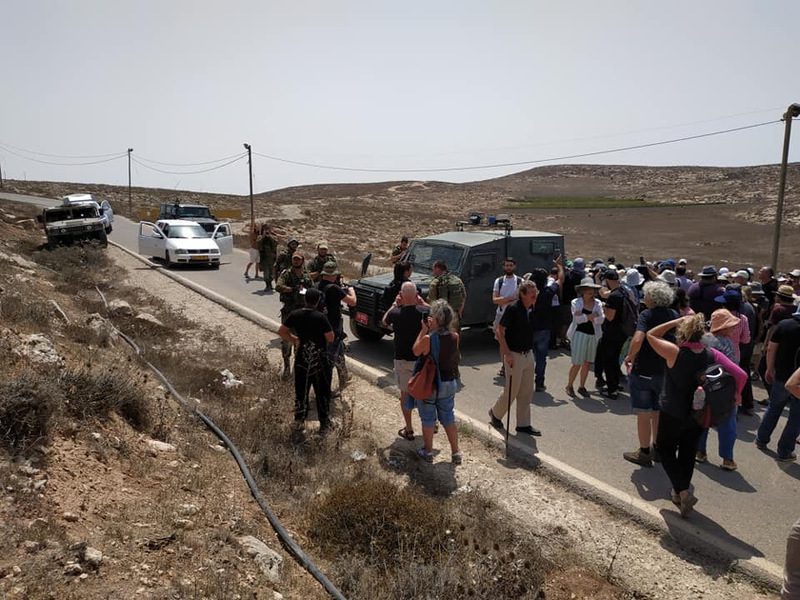 The aim of the tour was, as always, to see the reality of the occupation and learn about it, as well as to show our support for the Taayush activists who were violently attacked by settlers in the outpost of Mitzpe Yair, the previous weekend. 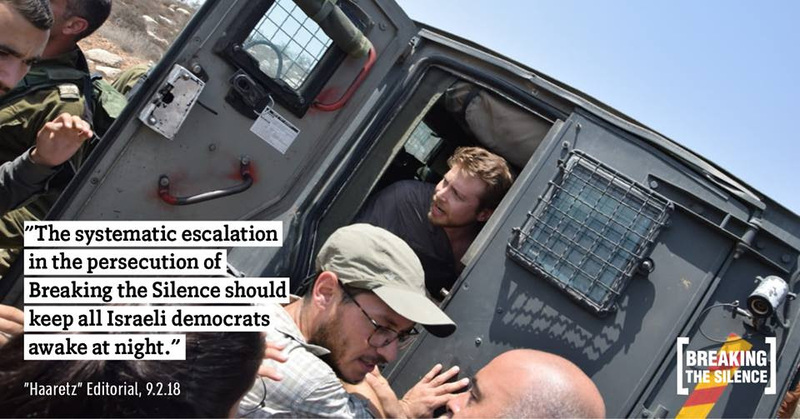 About 120 people from all over Israel joined the tour, and dozens of organizations, public figures, and Members of Knesset all lent their voices of support to it. The tour, however, was cut short when security forces blocked us from our regular lookout point next to the Mitzpe Yair outpost. 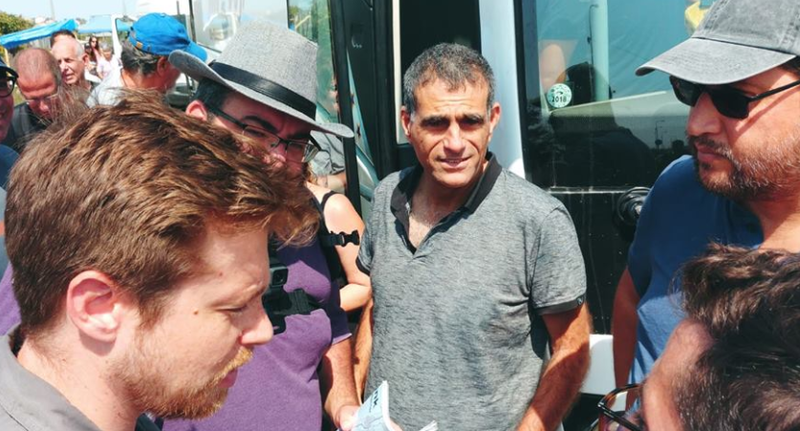 They also arrested and detained Avner Gvaryahu, our Executive Director; Achiya Schatz, our Director of Communications; and Michael Sfard, our legal advisor and a renowned human right lawyer, for three hours. 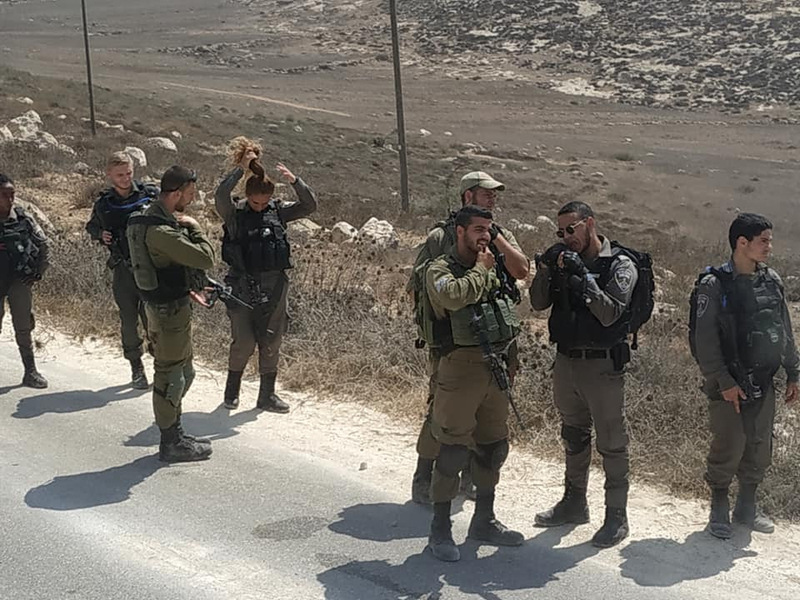 As we made our way to the Hebron area, we were stopped by security forces, who issued a “reduction order” (that is, an official order whose goal is to decrease the number of people in a given area), intended to prevent our tours from taking place. We soon realized that the order applied not only to our buses traveling to the South Hebron Hills. It also affected another one of our buses heading to a tour in the city of Hebron (which was coordinated, as always, with the necessary authorities) and an additional bus of another organization, All That’s Left, which was on its way to Umm il-Kheir. Because of this, and since this type of order is incredibly rare, we are left to assume that the order was meant to reduce the movement and presence of leftists alone. After we spoke with the security forces and convinced them that there was no justification for issuing such an order, each bus was permitted to proceed, and the tour to Hebron continued as planned. The tour to the South Hebron Hills continued on to a visit in Susya with Nasser Nawaj'a, a resident of the village, and from there we headed to the lookout point next near Mitzpe Yair - the same spot where activists from Taayush were violently attacked the previous week. This lookout point has been a regular feature of our tours for many years, and since we had been in touch with the brigade and had not been told at any stage that our route needed to be changed, we continued in that direction as part of our usual path. As we drove up the road leading to the outpost, we were blocked by a Border Police jeep. Within minutes, we were presented with a “closed military zone” order, signed by the brigade commander. We were given one minute to evacuate a group of 120 participants, some of whom weren't so young. When we asked for more time to get everyone on the buses, the arrests started. As was reported in the media, the arrests were aimed at the leaders of the tour, which reinforced our suspicion that they were innitially meant to sabotage the tour. Despite this all, the tour did not stop. The participants wanted to stay and hear more about the reality of the occupation in the South Hebron Hills. While waiting for the detainees, they had the opportunity to hear from Taayush activist Dr. Amiel Vardi, who shared his knowledge of the area and also spoke about the attack he experienced the previous weekend. Later, as an expression of solidarity and support for the detainees, many of the participants came along with us to pick them up from the police station. Upon arriving at the police station, Avner, Achiya, and Michael had been told that they were in fact not arrested but rather detained, and that there was no immediate need for investigations or arrests. They were then told to return in a month and a half for further investigation. We would like to thank J Street, T'ruah, Yachad, INN, and other organizations and individuals that support us. 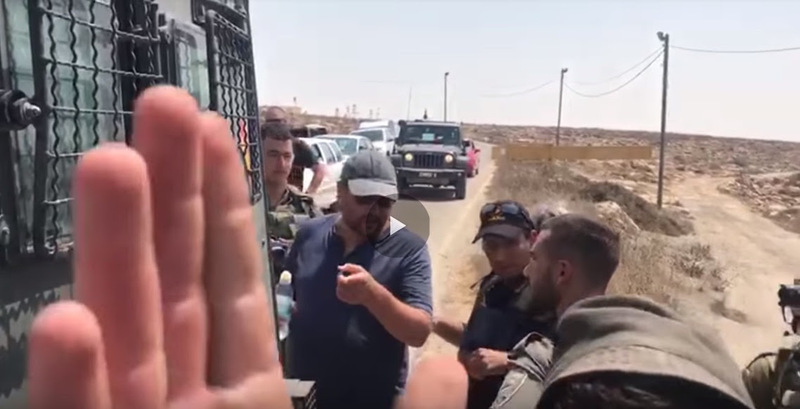 As Avner Gvaryahu stated, we have no intention to give up, and we will continue to hold our tours in the South Hebron Hills and expose the public to the reality of the occupation. 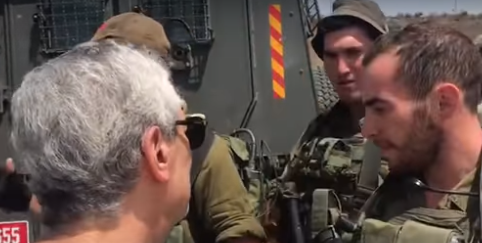 Unlike the Hebron brigade commander, we refuse to cave in to settler violence and to surrender to their intimidation, incitement, and violence directed against those who oppose the immoral reality of the occupied territories.